Discover Fantastic Family Days Out! 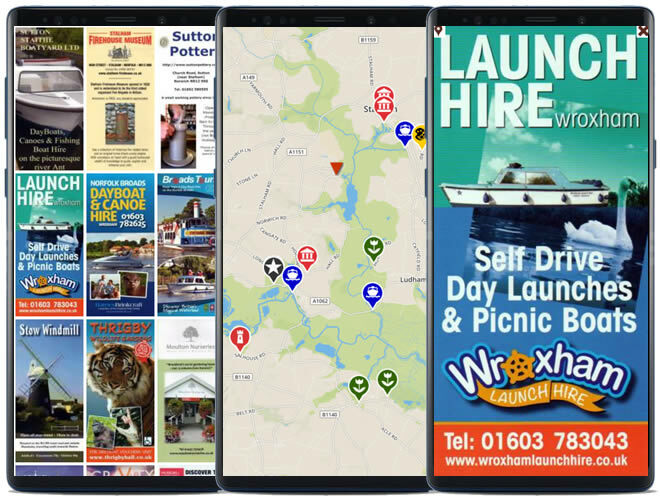 Use the MyDayOut app to fill your screen with nearby tourist attraction leaflets, sorted by distance from your current location or any location you choose on a map. View information on attractions, including their website and phone number. Get distance and directions. Save leaflets to a rack of your favourites. View offers and money saving vouchers and much more! No need to ever pick up a paper leaflet again! Downloading the MyDayOut app is free and does not require access to the appstores. Simply press the download button above and the app will be displayed in a new tab. Once opened, we recommend that you create a bookmark or save to your homescreen. Supported devices include iOS and Android. Advertise your attraction for FREE!